Since publishing my first novel at the end of April, I haven’t had time to do much in the way of writing; at least not in terms of writing a second novel. Leaving aside the personal circumstances that (as usual) have been constraining my time and ability to focus on my fiction writing, the other factor that had been preventing me from starting any meaningful work on a second book was my indecision concerning what story I want to tell next. I began outlining two stories at the same time until I could make a decision about which of the two I wanted to proceed with. Fortunately, that decision has now been made. 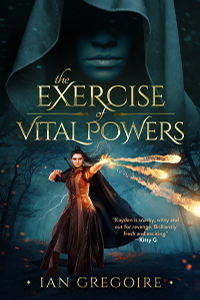 I may have mentioned that the Kindle edition of my debut novel, The Exercise Of Vital Powers, was released without fanfare a few days ago, and can be purchased now from Amazon’s Kindle Store. I may or not have mentioned I am currently preparing a paperback edition for publication later this summer, while simultaneously laying the groundwork for a slightly more high profile release, in terms of marketing. So now that I have the first book under my belt, I’ve been thinking about my writing goals for the remainder of the year. My ruminations have led me to start tentatively outlining two future novels. At the moment I am undecided about which of the two I want to prioritise, so I will work on them concurrently until I make up my mind. Is Failing To Plan, Planning To Fail? There are certain questions every fiction writer will ask themselves, sooner or later, about their craft. One such question will be a variation of, should you plan your story before writing it, or forgo the plan and just make up a story as go? It is a question I thought I had definitively answered for myself years ago. 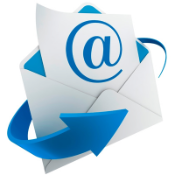 In fact, until last year, if you had asked me whether it is better to write to a plan or make it up as you go I wouldn’t have hesitated in stating unequivocally that planning is an indispensable part of writing a story. However, I’ve recently realised that maybe the answer isn’t quite so cut-and-dry as I once believed.